2019 Genesis Supreme 37CRXL 5th Wheel Toy Hauler with generator! 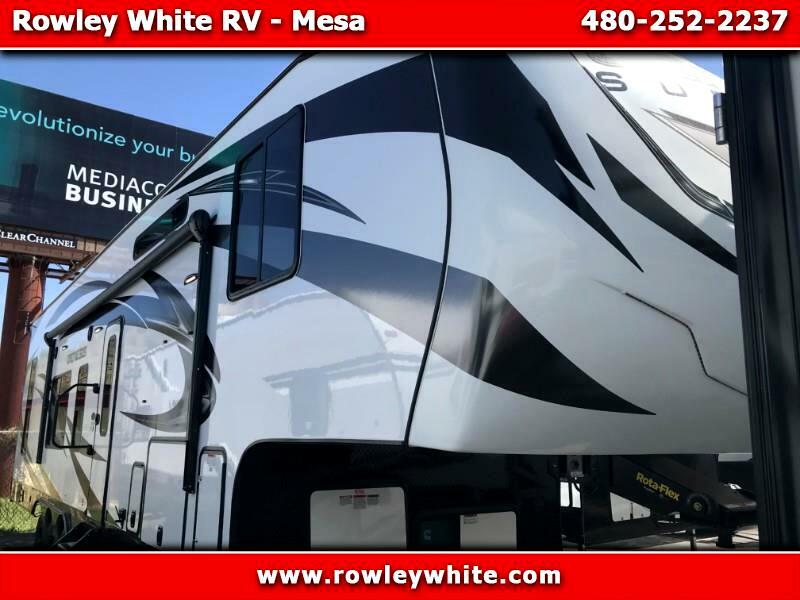 NEW 2019 Genesis Supreme 37CRXL Fifth Wheel Toy Hauler with 2 slide outs! The length of the trailer is about 40 feet; the cargo area is 16.5 feet to the first cabinet and over 21 feet to the first cabinet on the other side. There is 78 inches below the rear bunk.